Horrendous weather conditions plagued the build-up to the 2015 United States Grand Prix with teams achieving minimal track time on Friday or Saturday. This led to a heavily condensed race schedule with qualifying taking place on the Sunday morning, and the only dry running over the entire weekend taking place in the race itself, and what a race it was! With very little time to refine car set up for the race, teams and drivers went in to the race having to rely on pre-work ahead of the race weekend and instinct. The result was one of the best races of the season. 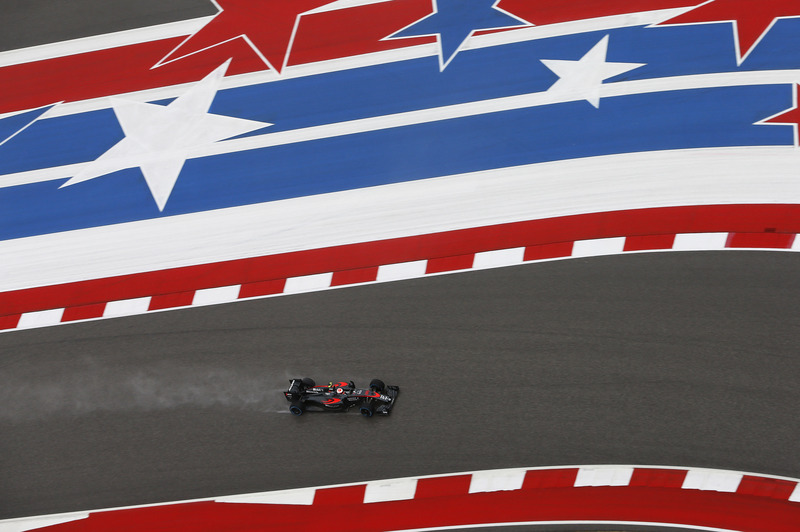 Wouldn’t it be great it all races could reach the levels of excitement achieved in Austin? Are there any elements of that weekend the sport replicate? Let’s rule out the obvious, random sprinkler systems are not the way forward! As much as every commentator likes to refer back to Bernie Ecclestone’s flippant comment from a few seasons ago it’s not really a feasible option. Any claims of purest racing would be lost once and for all. So if controlling the weather conditions isn’t an option, what else can we look at? 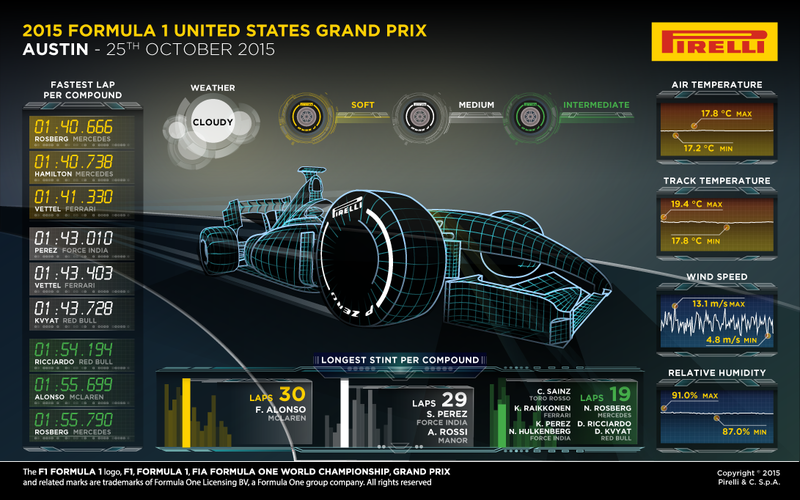 Should Formula One consider a shorter race weekend? Condense the event from three days to two perhaps even one? The one day format seems to work in Formula E. On the face of it reducing the time a driver and team have to refine set up based on performances in Austin seems to bring raw talent to the fore. 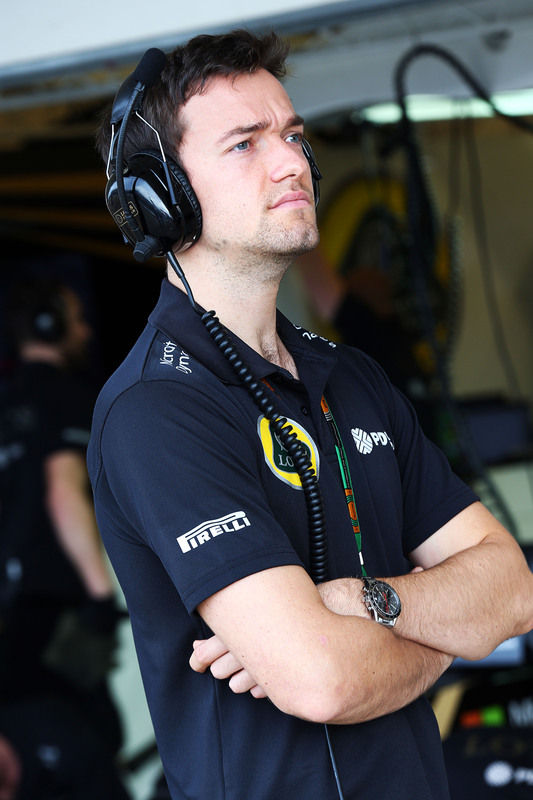 Drivers no longer able to rely on highly analysed data to define the best possible approach to a lap and the race. Driver and teams have adapt to what they have and respond to the circuit on the day. This lack of data seems to be what created great racing. On the negative side, a one or two day schedule significantly devalues the product; circuits, promoters, and broadcasters are have to offer to the paying public and sponsors. If you remove Friday from the schedule ticket prices should be adjusted accordingly and as a consequence revenues will be reduced. So how do you reduce team’s ability to perfect set up and not devalue the overall product? Why not move the Friday sessions to Monday? The amount of time spent at a circuit by teams will not be impacted rather shifted by a day. Teams will have chance to try out upgrades for future races, but do so with no immediate impact on the race weekend. Pirelli would get their wish for increased testing. Everyone wins! By moving the Friday sessions to Monday teams may be more inclined to run junior or development drivers safe in the knowledge the race car would not be damaged ahead of a race weekend. Both Lewis Hamilton and Kimi Räikkönen have recently called for a revamp of the format of a race weekend, could this be the way forward? Of course in time team would adapt and invest in new technologies, Mclaren performances in Austin served to highlight that despite everything going on with the team they have a truly first class simulator, confidence in the data from the simulator had a huge impact on the teams performances and very nearly resulted in their best result of the year. If the race weekend format changed team investment plans would follow suit, but in the short term fans would be in for some thrilling races and F1 action on a Monday morning! 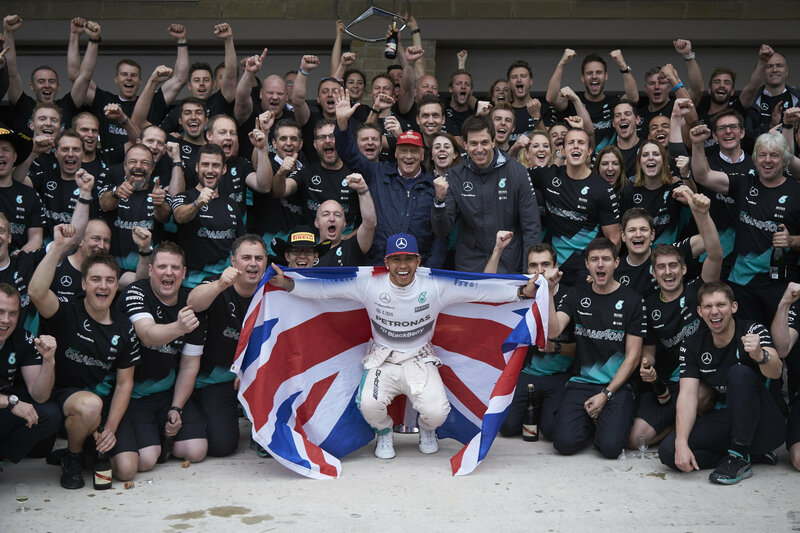 Lewis Hamilton has won the United States Grand Prix and the 2015 World Championship, following an action-packed race that went from wet to dry conditions. All the drivers started on new intermediates, waiting for the right crossover point when the track would be dry enough to move onto slicks. Both Hamilton and his team mate Nico Rosberg, who finished second, completed one opening stint on the intermediates followed by two stints on the soft tyre. The timing of the pit stops proved to be the key to victory, with the pit wall and drivers having to make tactical calls despite no dry running before the start, which deprived the teams of the usual tyre wear and degradation information. Two safety cars (as well as two virtual safety cars) shaped the strategy, with Hamilton stopping during the second safety car period – just before the finish – but not during the first safety car period, earlier in the race. Those who stopped during the first safety car period looked like they had an advantage, but the second safety car period eliminated a large part of that, by allowing those who hadn’t yet stopped to do so while containing the pit lane time loss. Hamilton emerged from his second and final pit stop in second place, but used the speed advantage of his fresh P Zero Yellow soft tyres to claim the lead from Rosberg, who had started from pole following the qualifying session this morning. 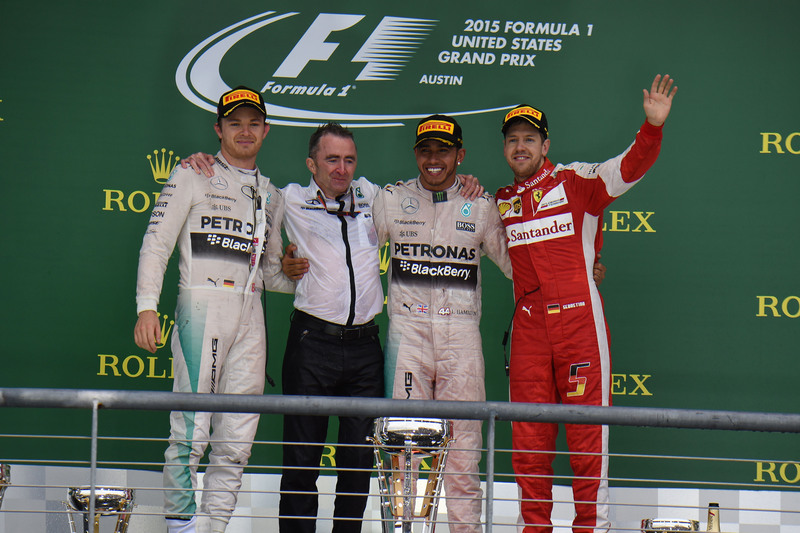 The highest-placed three-stopper was Ferrari’s Sebastian Vettel, who ended up on the podium. Vettel made his second stop onto the medium tyres, rather than the soft tyre used by his direct rivals. However, he then made a third stop during the final safety car, at the same time as Hamilton, having started from 13th on the grid. With the race start held in wet conditions, there wasn’t the usual obligation to run both slick compounds. Most drivers chose to use the faster soft tyre throughout the dry part of the race, but Vettel was the first of the frontrunners to use the more durable medium. Force India’s Sergio Perez was the only driver to make the intermediate-soft-medium strategy work, finishing fifth after stopping twice. The Mexican finished ahead of McLaren’s Jenson Button and Toro Rosso driver Carlos Sainz, who went from last following an off in qualifying to sixth at the race finish: also stopping three times. The highest number of pit stops was completed by Sauber’s Felipe Nasr, who was in the pits five times but still finished in a points-scoring ninth. 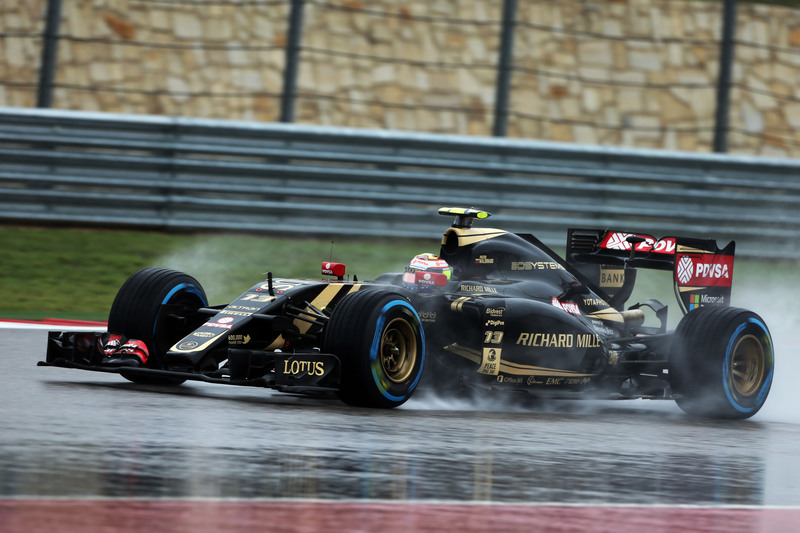 Formula One: Austin Qualifying with Lotus: So Wet! 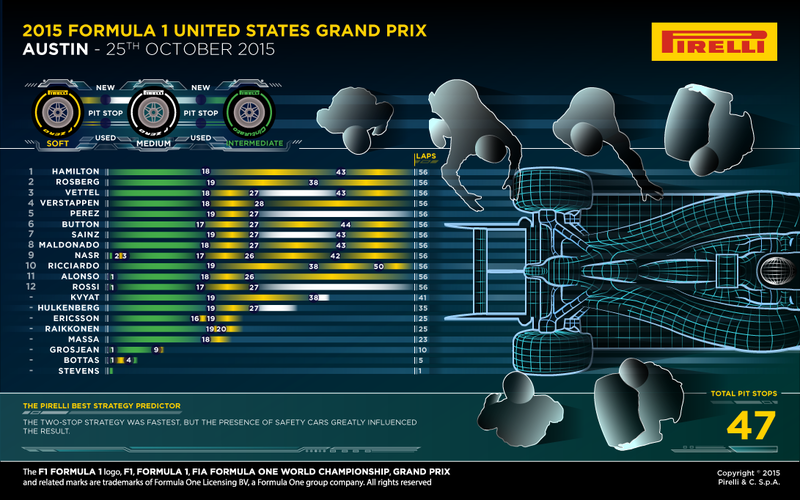 Lotus F1 Team has qualified thirteenth and fifteen for today’s United States Grand Prix. In extremely wet and slippery conditions, both drivers proceeded to the second qualifying session but were unable to break into the top ten for this afternoon’s race. Both drivers gain two positions on the grid as a result of penalties for other competitors, meaning Romain starts in P11, Pastor starts in P13. For the drivers it was a game of finding some clear track away from the spray and maximising the opportunities when the track was at its driest. It rained all through the session so it was difficult for everyone out there. The conditions were very poor at the end of Q2 which was highlighted by Q3 being aborted. What are the considerations for the race? The weather is obviously the primary consideration. It’s raining right now and we’re watching the skies and the satellite maps very closely. 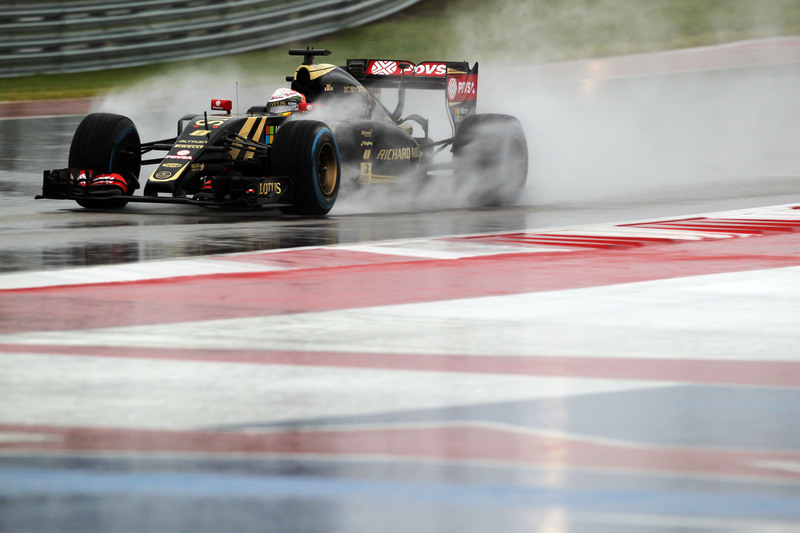 Lotus F1 Team endured a soggy waiting game at the Circuit of the Americas with a very wet FP3 and a much delayed and ultimately postponed qualifying session. Qualifying is now scheduled for 9am tomorrow morning at the track. What does a Sunday morning qualifying mean for the team? It will make for a busy race day. The weather is predicted to be better tomorrow, however there’s still a chance of rain. It’s going to be important for both cars to come through qualifying with minimal issues as there will only be a short time between qualifying and the race. We saw a Sunday morning qualifying last in Australia a couple of years ago so it’s not an alien concept. We have less time to work on strategy permutations based on starting position and we don’t have much dry run data. If it’s wet there are the usual wet weather considerations. 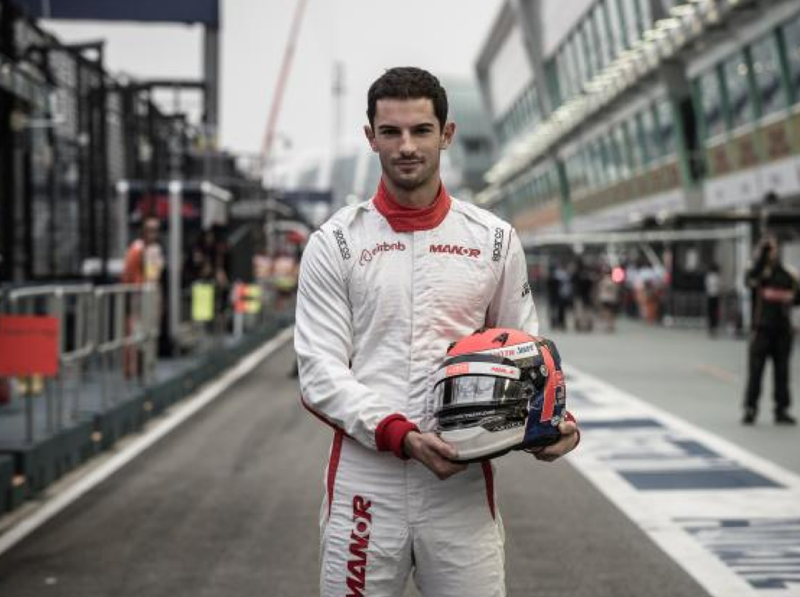 We certainly are looking forward to the race and we have a good opportunity for points. There’s very little not to love about Austin. The setting is impressive, the welcome is warm and the track is one of the best we visit all year. There are some very impressive corners and flowing complexes that challenge drivers, engineers and the technology we use. The power unit works in the mid to high range throughout the lap, with high average speeds and some very technical sections. – Austin is one of the most demanding tracks of the second part of the year for the ICE, with just under 50% of the lap taken at wide open throttle, rising to 55% in qualifying. The average speed will be around 200kph with top speed peaking at over 320kph. – The longest straight is the burst between Turns 11 and 12 at 1,016m. The power units will spend approx. 14secs at wide open throttle. Top speed is 325kph at the end of this straight in qualifying trim. – The changes in gradient stress the internals of the ICE. When going downhill the mechanical parts and lubricants are squashed to the bottom of the car but when going uphill they are pushed back upwards. These repeated changes of pressure are unusual on the calendar and will be monitored over the weekend to avoid any potential problems or pressure drops. – Austin’s gradient changes are an important consideration. The run from pole to the first corner is the most acute example of the change in altitude. The track rises 25m over 500m – equivalent to a gradient of 1 in 20 but at its steepest is 1 in 8. This elevation change means the turbo rotates at a higher speed to generate the same amount of power at the top of the hill. – The low ambient humidity of the Texan grasslands has a big effect on the power units. The air will contain more oxygen and a naturally-aspirated ICE will generate more power, but the aridity is very taxing on the internals. A turbocharged engine mitigates this effect by varying the rotational speed to provide the correct amount of air to the ICE. 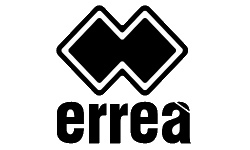 – The circuit layout with its flowing corners in the first sector, straight line in the second sector and stop/start character of the last sector makes the consumption per kilometre one of the highest of the season. This makes energy recovery through braking crucial. – The third sector is very stop-start, but the hairpins and tight corners give the MGU-K a chance to recharge. At each corner, the driver will stamp on the brakes, putting large forces through the K and filling the battery once more. – Three hairpins triangulate the track; Turns 1, 11 and 12. Revs drop to 7,500rpm and the car speed to just 80kph. All three come after a long period of open throttle, meaning engine braking and rear stability on the apex are crucial. The exits and correct engine response from the hairpins are however equally important since they each lead back onto another straight. – A high percentage of Sector two is given to the long straight, which will give the MGU-H a chance to recover energy from the ICE. 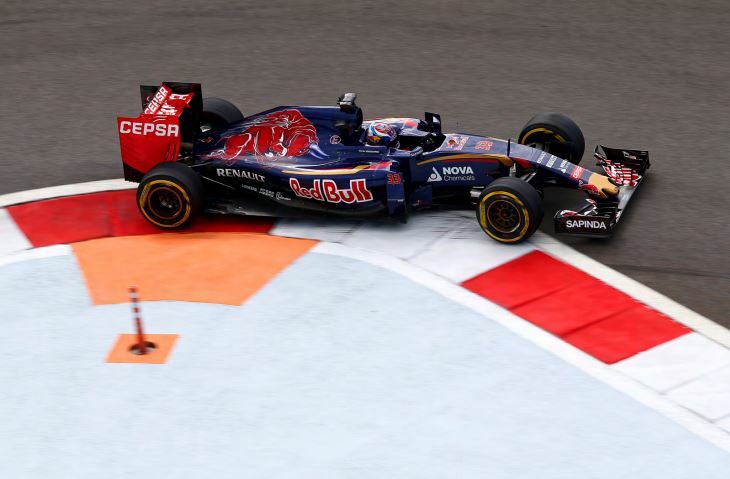 – The flowing section between Turns 2 and 4 require the driver to maintain a constant level of throttle. This will require the ICE to turn at a constant speed, producing a steady stream of exhaust gas, which the MGU-H can recover. 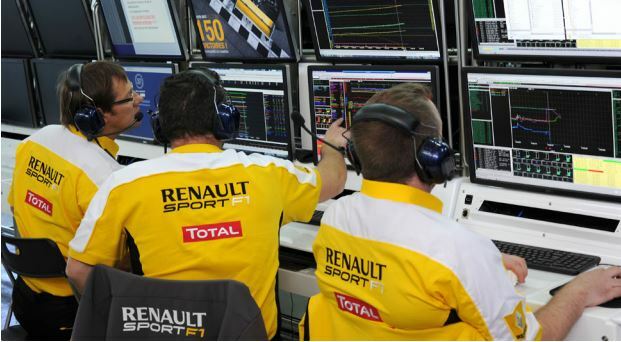 OPINION: Renault bringing their highly anticipated engine upgrades to Austin is a significant statement of intent, if nothing more than to cement Renault remain committed to the sport and the current regulations. Renault have not officially confirmed the number of tokens used for this upgrade, or if it represents the final development of the season. No doubt they will be keen to validate the developments on track and will encourage one or both customer teams to run the updated Power unit.